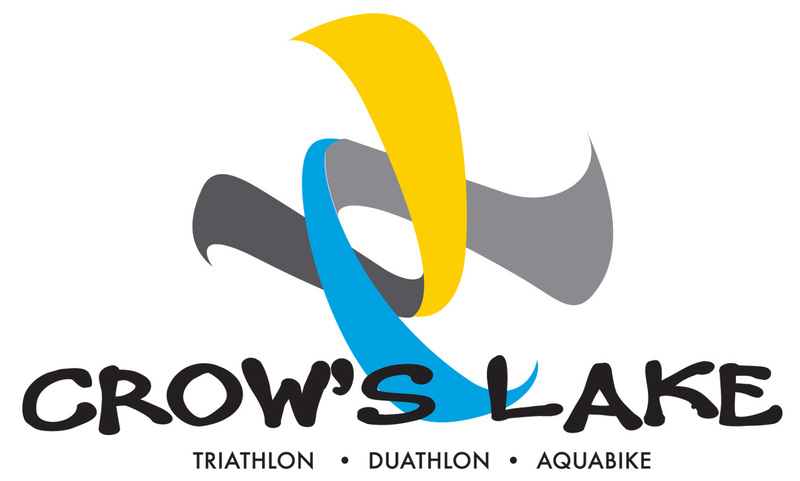 The annual Crow's Lake Triathlon, Duathlon and Aquabike produced by Georgia Multisports will take place on July 21, 2019. You will not want to miss this fast and fun event held in Jefferson, Georgia. Jefferson is conveniently located just 30 minutes from Athens, Georgia and 45 minutes from Atlanta. 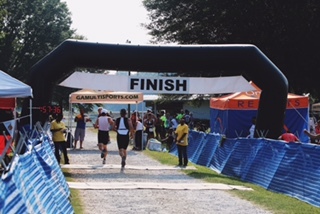 Triathletes will enjoy an easy 400 yard swim in one of the lakes located on the property followed by a fast bike through the country, finishing with a 5k trail run around the lakes. 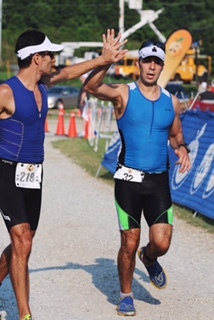 Our Duathlon participants will run the 5k trail for both run portions of their race. Immediately following the race you are invited to enjoy great food, fun and race talk amongst your competitors. This is great race to bring spectators. Your friends and family will be able to see you on all segments of the course while also enjoying a view of the beautiful lake. CHANGES TO TEAM CHALLENGE COMPETITION FOR 2019. NOT ONLY WILLL THE FASTEST TEAM RECEIVE AN AWESOME AWARD, BUT THE TEAM WITH THE MOST MEMBERS WILL ALSO BE GIVEN AN AWARD AND EARN BRAGGING RIGHTS! SO GET YOUR FRIENDS TOGETEHR AND CREATE YOUR TEAM TODAY . Optional team competition. This is not a relay everyone on the team will compete as an individual age grouper and as part of a team. If you would like to particpate in the team competition you must have one member register a Team Name and all other members will register under that team name. All teams must have at least three members registered and finish the race to be considered in team scoring. Scoring will be determined on the top three fastest times of your team. This is not a relay and is completely optional .... all members are also consider in age group categories/individual. You are eligible to place in your age group and participate in team competition. Recruit you friends and family and join the fun. We hope to see you there.. you will be glad you TRI'd it!! 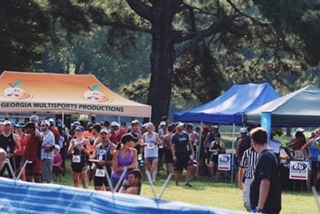 Location: Crow’s Lake, 155 Crows Lake Drive, Jefferson, GA.
ID and Valid USAT card will be required at packet pickup. Event parking is conveniently locted on site within a few steps from the transition area.